at varying downtown restaurants (locations published prior to meetings). The Promotions Committee is in charge of special events and downtown advertising. 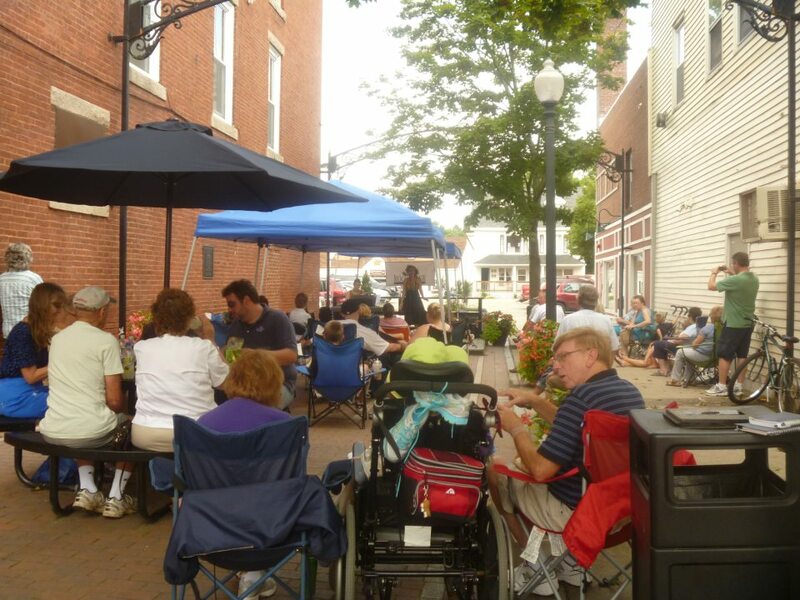 Main Street hosts a night of fun, food, and laughter at Curlies Comedy Club. This is New England's biggest National Free Comic Book Day event, hosted by JetPack Comics with support from Main Street. People visit downtown Rochester from all over the region to participate, meet celebrities in teh world of comics, and get free comics. This event has Vendor opportunities and Sponsorship opportunities. ​The public is invited to enjoy samples of wine and craft beer from area vineyards and breweries, each paired with a food course from a local restaurant! We celebrate diversity, acceptance, and friendship in a festive downtwon atmosphere. Music, food, and fun for everyone! Main Street partners with the City of Rochester to host a fireworks festival with food, live music, and fireworks! We partner with downtown businesses to help promote specials on national Small Business Saturday to highlight the benefits of supporting local businesses. This is part of our commitment to helping drive business to local downtown. Trick-or-Treat: In the afternoon, young children visit participating downtown businesses for trick-or-treating. This is a partnership with The Gerater Rochester Chamber of Commerce wherein Main Street hosts the Chamber's Business After Hours. We take attendees on a stroll through downtown with refreshments and give-aways!